Just a short walk from Sheffield centre, this fantastic Apartment has a spacious living area with a flat-screen internet TV, fast free wifi, clean modern bathroom , open plan kitchen and separate bedroom, sofa bed, comfortable seating and laundry facilities. The modern fully equipped kitchen contains an oven, microwave, refrigerator, kettle, crockery, toaster, a washer, a dining area and more. 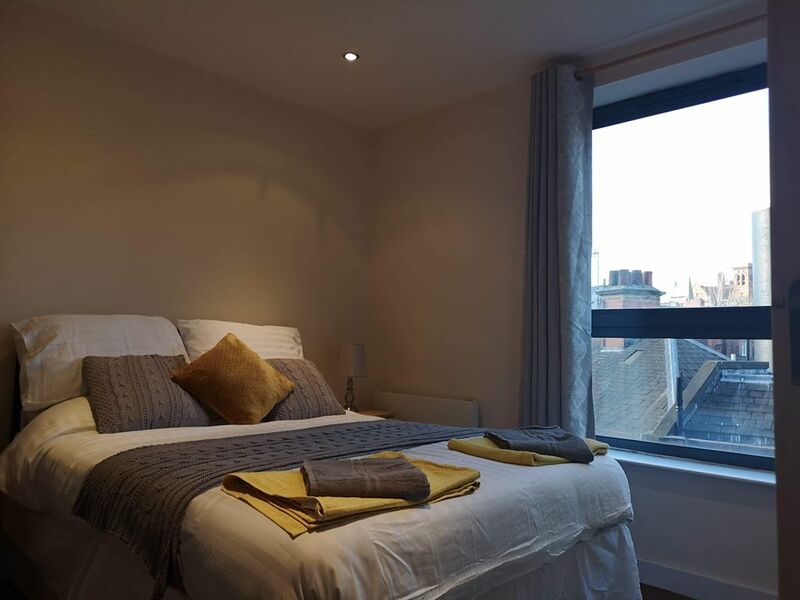 Situated in the Fabulous West One Complex at Sheffield City Centre's Devonshire Quarter, West One Rex Apartments are located for the best access to Sheffield’s large selection of bars and restaurants. Great for access to local facilities and attractions, Sheffield's Cathedral is just half a mile away, 3.7 miles from Motorpoint Arena and 0.9 miles from Crucible Theatre. Guests staying at this apartment can also relax in the fantastic peaceful west one complex shared garden terrace. The west one site contains metered parking located at each side of the site. This is reasonably priced from £5 for 24 hours on Cavendish street. We put value and quality at the forefront of what we do! Our serviced apartments are high quality, clean, comfortable, stylish, modern and all in a fantastic location.